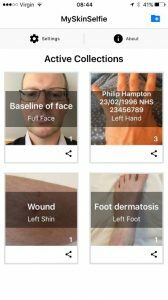 Developed by Newcastle University and Newcastle Dermatology (UK) , MySkinSelfie is a new app which allows patients to monitor their skin conditions and store all the images in one place with all data securely stored in the cloud. Each skin problem can have its own folder. 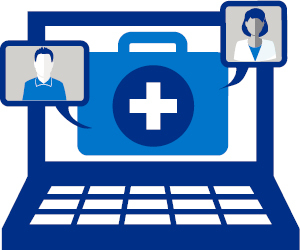 All images are automatically dated and can have notes added to record disease triggers or treatments. The overlay function allows the first image to be a template for subsequent images ensuring accurate positioning of subsequent images. 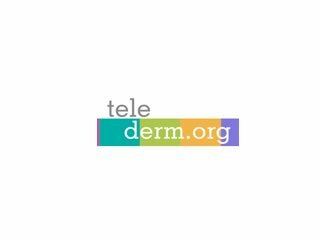 Feedback from patients suggest that mole monitoring is one of the most popular uses for the app along with monitoring of transient rashes. We are pleased to announce the release of a Spanish version of the app on both android and iOs, produced with the help of Dr Paola Pasquali, Pius Hospital de Valls, Spain. We have also added a delayed upload function so that images can be taken when away from wifi and then uploaed to the cloud at a later time. Further functions to allow image sharing are in development with the main challenges focusing on information governance rather than the technology.